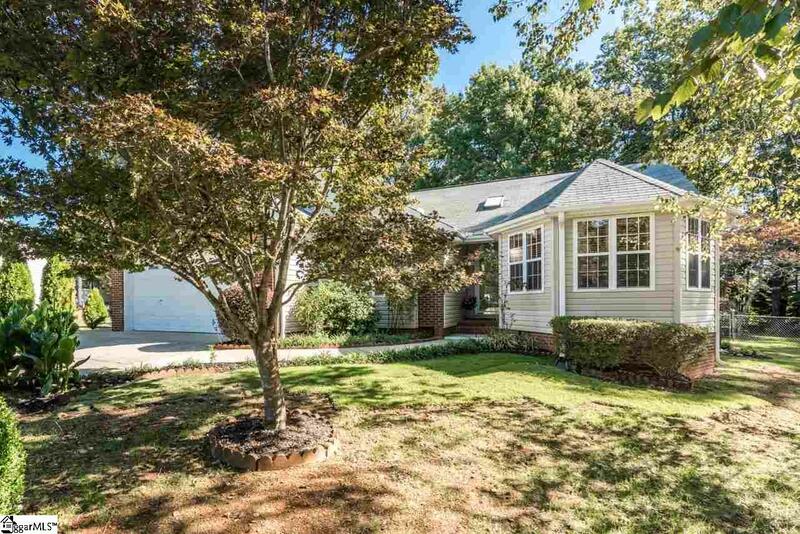 So much to offer in this well kept home located behind Furman University and close to the Swamp Rabbit Trail. This brick and vinyl ranch has 3 bdrms. 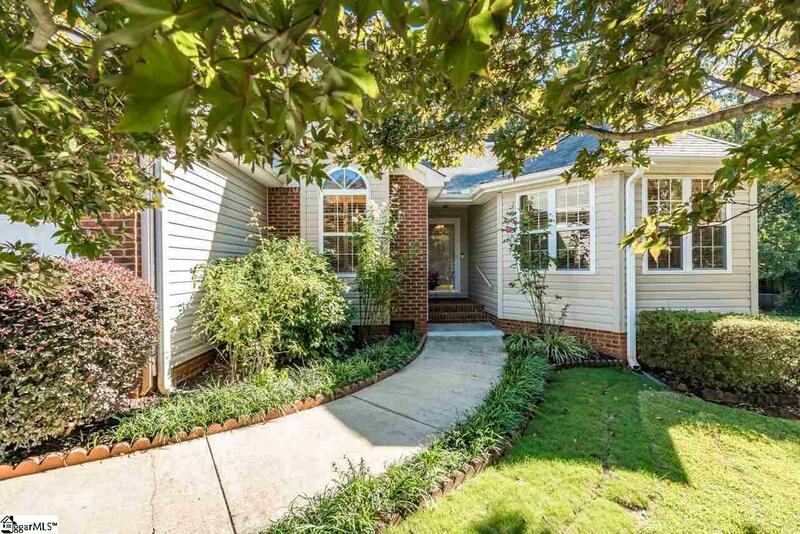 and 2 full baths and is situated on a cul de sac lot, which provides total privacy and a fenced backyard. 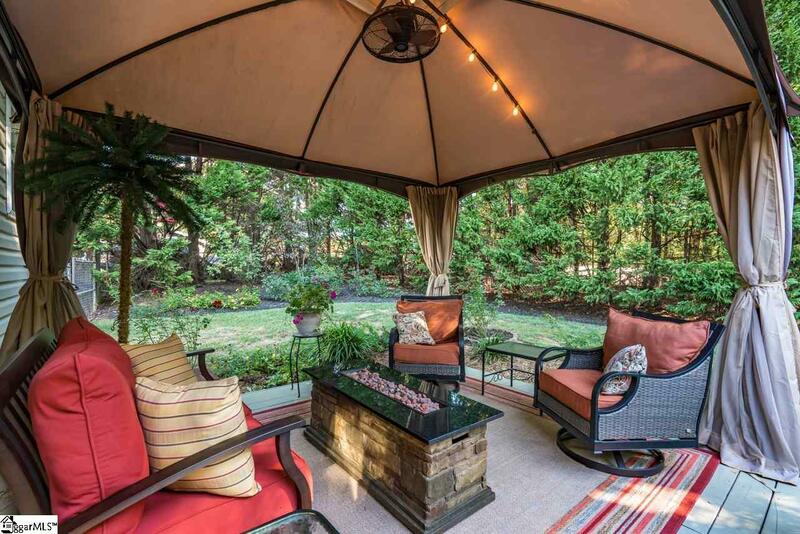 The sellers have created a wonderful outdoor space with a paved, custom painted patio and an 11 x 13 deck, covered with a screen gazebo and outdoor lighting. There is also a storage shed to store all your yard equipment tucked into the back yard. 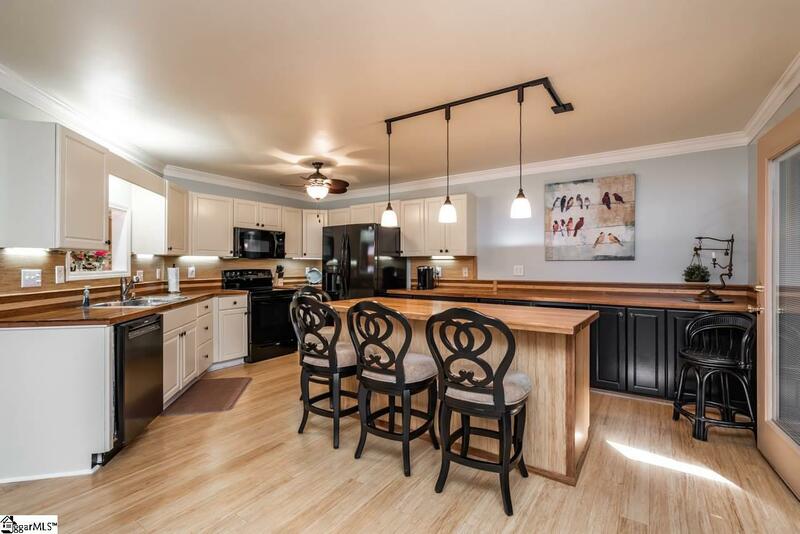 You will appreciate the many custom features the seller has incorporated into this home. The floors are Bamboo or Luxury Vinyl Tile through out. The hall bath vanity is a custom made bamboo vanity with one sink and combined Tub/Shower. The extra large master bedroom has a built in dressing table and there are his and her closets. This bath has a large whirlpool tub and a custom shower. The double vanity is bamboo also. The list goes on. When you enter the kitchen you find an abundance of cabinets and a center island with additional storage and a breakfast bar with Bamboo counter-tops. Appliances are less than 5yrs. old. There is a Bosch DW, Smooth Top/Convection stove and oven, built in microwave and Refrigerator. The family room is spacious with a bay window over looking the front yard. Every window has Plantation Shutter! And if that's not enough, there is a sunroom with a built in gas heater and separate AC. Come see for yourself. Oh, and the driveway has an extra parking pad and the garage has built in cabinets and a utility sink!!!! Listing provided courtesy of Carolyn Dowling of Coldwell Banker Caine/Williams.